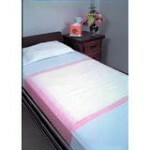 Reusable, quilted bedding protection absorbs and traps liquids. 3-layer construction includes stay-dry top layer and antibacterial, antifungal finish. Will not slip, ball or shift. 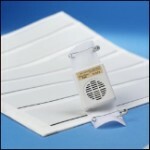 Waterproof binding around the edges prevents spills and leaks.